Hi guys! Sorry for being quieter than usual lately! As you can see, I've been making a few changes around here. We now have a static homepage - www.fitforabrideblog.com - that will soon link my shop and bootcamp! Eek! There are a few other tweaks on the way, so please bear with me! This website is a constant work in progress! So, lately, I've been feeling more and more confused when I think about how I want to approach weight loss and advise others on weight loss. There's so many diets and methods out there, and having experimented with quite a few myself, I tend to overcomplicate the process in my mind, and stall actually getting started... sound familiar? Having this realization, I decided to nail down the things that have always worked to help me lose weight in the past, and, surprisingly, they're quite simple! No diet restrictions, no memberships, or expensive proteins or pills, just 5 fundamentals! 1. Get Motivated - Whether it's an upcoming event (ahem, like a wedding!) or just another summer season, I need something to get me motivated. An upcoming trip is good motivator and so is an upcoming anniversary of some kind (my 3 year wedding anniversary is in April). I also get motivated by taking a before picture of myself, making visual reminders (like below), reading about health, searching crossfit and weight loss on Instagram, trying new workouts, and combining forces with others. There's so many awesome ways to get motivated - it' just a matter of tapping in! In the past, I've used challenges to motivate me, too, but I've often fallen way off the bandwagon at the end of the challenge and gained back all the weight I lost while on it. I read this word of caution about Paleo Challenges and "Clean Eating" Programs and could totally relate! In my opinion, a challenge might motivate you, but it won't sustain you. 2. Change it up - Just like I constantly need motivation, my body needs constant change; this is especially true with workouts. If you've been doing the same workout or same type of workout for the last 6 months and you haven't seen any changes (and you're looking for change), you need to switch things up! Try something new, whether it be the workout itself or even the time of day you're working out. Challenge yourself! 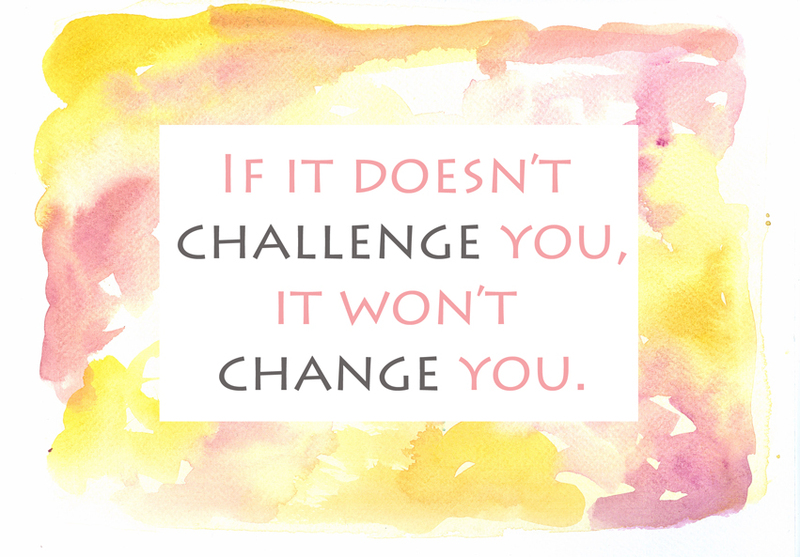 I love the quote "If it doesn't challenge you, it won't change you!" So true! I think that's why CrossFit has been so beneficial. Change is also the reason why strict diets that only allow for certain foods or meals don't really work for me. I've received meal plans that were the same two day's worth of meals repeated for an entire month! No thanks! I like to use those meal plans as a guide, but ulitimately, I need there will be a lot more variety in my own diet. I like to experiment! The key is experimenting with healthy foods, not new flavors of oreos! 2. Meal prep and log your food - These are big. Huge. Majorly important fundamentals to weight loss in my book. I do so much better when I think about what to eat ahead of time and then log as I go. While a diet might work to outline WHAT you eat, I find that just being prepared and watching it WHILE I eat is a much more effective and long term. 4. Have some accountability - I'm always thinking about new ways to incorporate some accountability into my life because I do my worse when I go unchecked for several days and weeks at a time. That's one reason why I think programs like Weight Watchers and other weekly weigh-in programs are great. Not because they focus on your weight (I don't think that's good), but because they add an element of accountability. I mean, cause, let's face it, how easy is it to ignore what we don't want to deal with? Too easy! 5. Get into a routine - Even though I like to change things up and try new workouts and recipes, my routine - with work, working out, sleeping, and meal prepping - always directly translates into whether I have a good or bad week in terms of weight loss. If I don't go to bed at a decent hour, I'm traveling a lot, or bogged down with lots of obligations one weekend, it's easy for me to get off track. And then it's easier to stay off track than to refocus! I know it's important to be healthy on the go, but it's hard for me! I do much better when I have a set schedule and stick to it! If you're navigating lots of diets and not sure where you should begin, it might help to brainstorm the simple solutions that worked for you in the past! I wouldn't be surprised if we had some in common - most people agree that tracking food and having some accountability helps! And, here's an idea! Let's help each other! Beginning in March there will be weekly challenges that reinforce these simple weight loss fundamentals. 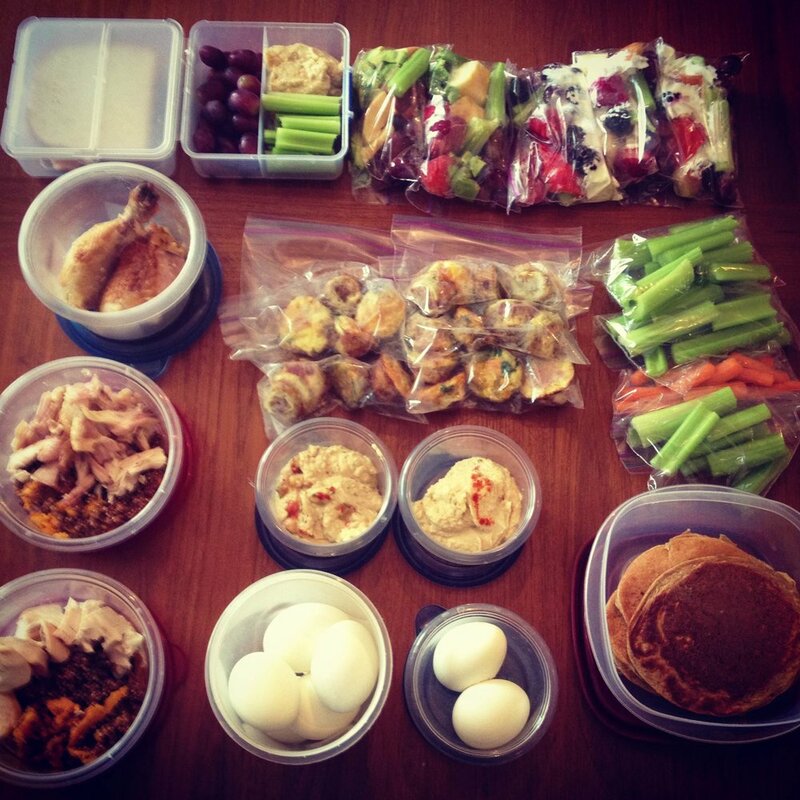 One week you might be challenged to track your meals, or prep your breakfast for the week! You might be challenged to change up your workout and go for a run outside, or try a CrossFit class! 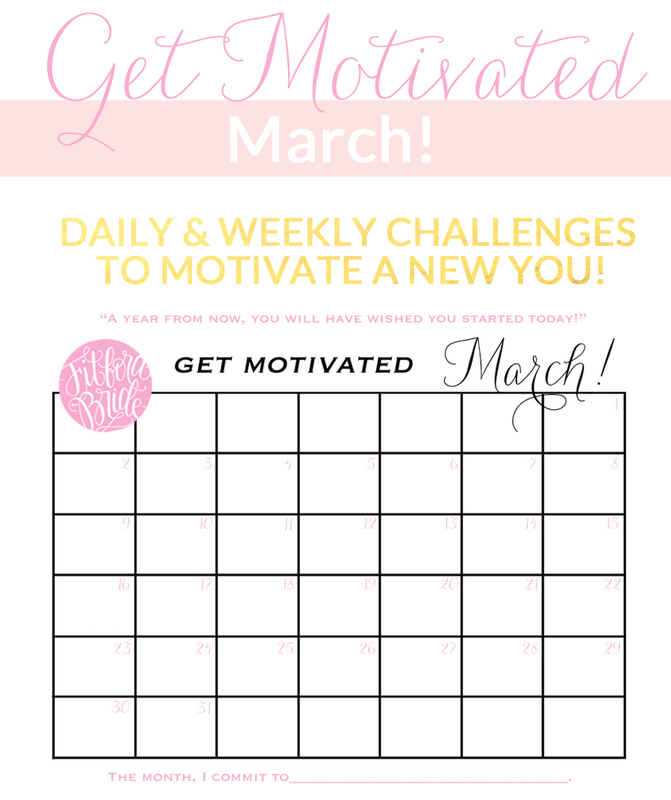 I'll publish the Get Motivated March calendar tomorrow, and all the challenges will be typed into each day! There will be a new calendar and a new set of challenges in April! I'm really hoping these challenges motivate us to stop stalling and do what we know we ought to! Who's with me?? Do you overthink healthy sometimes? 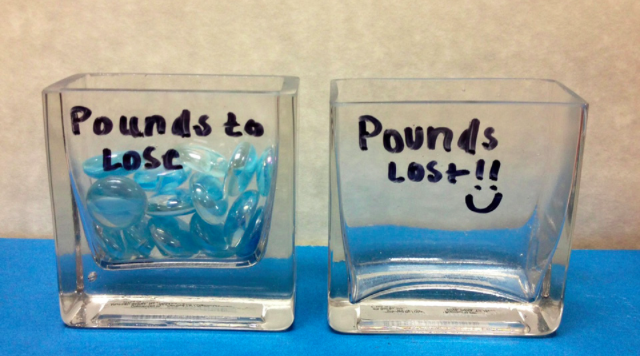 Do you go back and forth about how to go about losing weight?